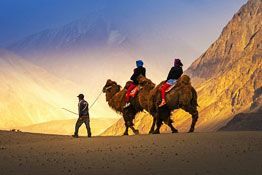 Arrival at Kushok Bakula airport in Leh (situated at an elevation of 3,500 meters) followed by assisted transfer to your hotel (2 to 3 kilometer from Leh airport). 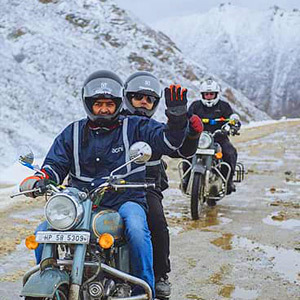 Rest of the day is free for acclimatization with high altitudes and air pressure of Ladakh. Early morning, hit the road to Ulleytokpo (70 kilometers from Leh). 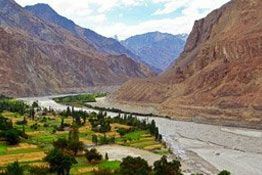 Drive past Magnetic Point, Sangam (confluence) of Indus and Zanskar River at Nimu and Alchi Monastery-famous for its 1000 year old paintings. By afternoon, arrive at Ulley Resort and retire in the comforts of your room. Stay overnight at the Ulley Resort. In the morning, head back to Leh. En route, visit Rizong Nunnery & Spituk Monastery. 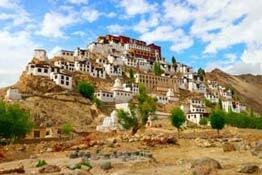 On reaching Leh, visit Military Hall of Fame, Leh Palace and Shanti Stupa in the afternoon. Early morning, leave on road to Nubra Valley (125 kilometer from Leh) via Khardongla Pass- world’s highest motorable pass at 18360 feet. In the afternoon, visit Hunder, Diskit and Likir Monastery-home to 100ft tall statue of Maitreya Buddha. Later, enjoy a camel safari in the silvery sand dunes. Post Samstanling Monastery tour in the morning, drive back to Leh via Khardongla Pass. In the evening, enjoy a shopping tour in the Leh markets. These markets are famous Pashmina shawls, Chinese cutleries, good pearls and beautiful Ladakhi wooden handicrafts. 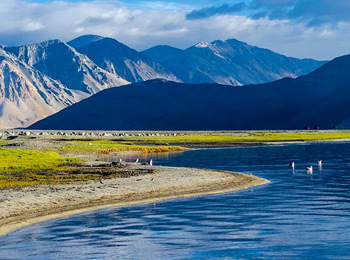 A full day excursion to Pangong Lake which is 135 kilometer away from Leh and situated at an elevation of 4,400 meters is on the cards today. 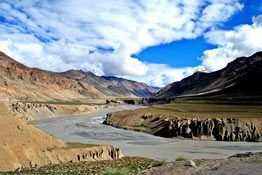 En route, you’ll cross Chang La Pass (situated at a height of 17500 feet) and drive past Durbuk and Tangste villages in the Changthang region of Ladakh. 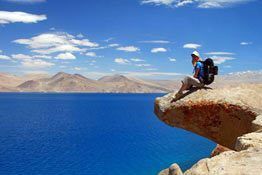 The Pangong Lake is the most amazing lake in Asia region and changes its tone 4 to 5 times a day.